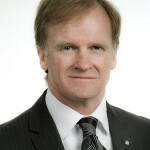 Ai Group Blog > Leadership > Compliance > What’s in a label, Australia? Country of Origin labelling issues will be front and centre for the confectionery industry in Canberra on Monday. The Ai Group Confectionery Sector will be meeting with members of the working group, led by Industry Minister Ian Macfarlane and Agriculture Minister Barnaby Joyce, that is tasked with developing a Country of Origin labelling proposal expected to be submitted to cabinet by the end of March. Our aim is to make Ministers aware of the confectionery industry’s position on country of origin issues and ensure the value of manufacturing food is recognised by Government. When it comes to origin labelling, there is an apparent concern for consumer confusion and understanding in the midst of a community desire to buy local food and produce. There is also concern that there is wriggle room, in terms of regulatory compliance, which impacts the competitiveness of Australian food in the marketplace. We don’t want changes made which could disadvantage local manufacturers – and any changes which are imposed to achieve improvements in the system should not cause additional regulatory burden or create extra costs. But we do want to ensure consumers are aware of where their confectionery and food is made, with the assurance that the product is made locally. 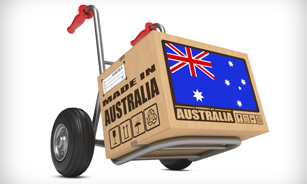 Is Country of Origin labelling an issue for your business? What issues would you like to see the Ministers consider in the development of their proposal?